There are people who keep on asking which is the best mid cap stocks to buy or best mid cap stocks for long term investment in India 2019. As mostly everyone is only aware of it that mid cap stocks gives you the higher returns. Here in this article we have focused to guide you towards actual mid cap stocks meaning along with top 10 mid cap stocks in India for 2019. Along with this we are providing you a list of best mid cap companies which will assist you in your research for picking, holding or buying best mid cap companies stock. After reading this article you will be in position to take your own decision towards best mid caps for 2019 to buy and hold or to invest in mid cap stocks for long term. What are Mid Cap Stocks? In India, where the capitalization is neither too high nor too low, we categorize the same as a mid cap stock. For example: Indiabulls Ventures Ltd, Blue Dart Express Ltd, Godrej Properties Ltd, etc. are altogether known as mid cap stocks. These stocks have a tendency to have larger instability, volatility when compared with large cap stocks. Their stocks move faster during bullish or bearish market trends with higher risk along with them. Mid cap stocks means those stocks whose market capitalization is between INR 50 Billion and INR 100 Billion. Mid caps stocks capitalization is between the range of small cap stocks and large cap stocks. These mid cap companies stocks are moderately risky as compared to large cap and less risky than small cap companies. When any investor invests in mid caps stocks for long term investments, he might invest in a company which can leave or go bankrupt. In general terms, mid cap stocks can bring you higher returns as compared to large cap stocks. When we say best mid cap stocks for long term investment, It is advised to consider that one should select best mid cap stocks to buy and hold for not more than 3 to 5 years. The list provided below is based on EPS Ratio (Earnings Per Share Ratio) from highest to lowest along with Profit Earning Ratio (P/E Ratio) and P/BV (Price to Book Value Ratio). Your research, knowledge, talent, will guide you in best mid cap stock picks. Apart from this you should also grab skills for technical analysis like: Technical Indicators, Single Candlestick Pattern, Multiple Candlestick Pattern, Support and Resistance of stocks, finding out volume, Moving Averages of mid cap stocks. Also you should learn fundamental analysis of stocks like: Qualitative Factors, Financial Ratios, Qualitative Data Analysis, etc. 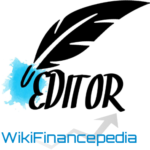 will provide you better knowledge in picking best mid cap stock and also to decide whether to buy or hold. Here we are going to see the top best Indian mid cap stocks with highest upside potential and growth potential. This assist you to short list from top 10 best mid cap stocks to buy now for long term investment. This should not be considered as mid cap stock recommendations. But this can help you to figure out the better than the best stocks with your market skills and techniques. Note: Values and Ratios are based on January 2019 data. We are presenting here mid cap companies list which will assist you in your deep research. From the list of best mid cap companies you can choose which is best suitable for your portfolio. Below list of Top 100 Best Mid Cap Stocks does not include the above “Best Mid Cap Stocks”. Here we have seen top 10 best mid cap stocks to buy for long term investment in India 2019-2020. Our objective is to provide you the list of best mid cap companies and mid cap stocks to watch on. This should purely be an informational to you rather than mid cap stock recommendations. Take a look at it, perhaps this will help you to figure out your best decision when picking mid cap stocks to buy and hold. Hope you find this interesting and you are welcomed to share your feedback.